The new OddFellows factory and soda fountain, slated for the spring of 2018, will offer behind-the-scenes tours and whimsical ice cream concoctions. 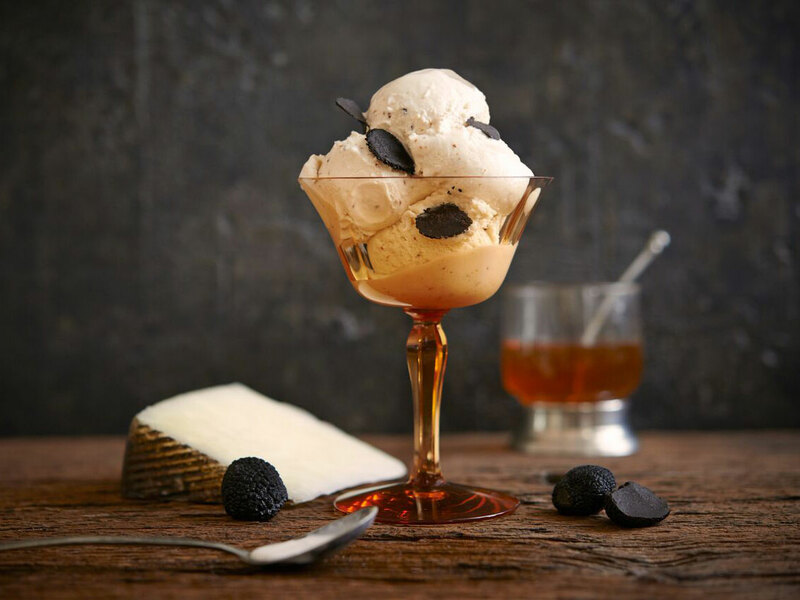 Since OddFellows Ice Cream Co. opened in 2013, chef and co-owner Sam Mason has been concocting weird and wonderful creations from the confines of a 250-square-foot kitchen at the company’s Brooklyn flagship in Williamsburg. There are OddPockets (toasted brioche sandwiches stuffed with ice cream), Foie Gras Drumsticks (the grown-up version of a Nutty Buddy), cotton candy-encased scoops and an archive of over 300 sweet and savory flavors, some that have no business being delicious yet somehow are. (Chorizo Caramel Swirl, Manchego, Pineapple and Thyme and Edamame are just a few.) In the spring of 2018, Mason, along with co-founders Mohan and Holiday Kumar, are expanding the operation with a new factory and soda fountain, promising behind-the-scenes tours, surprises and plenty more room for the chef to experiment. Within one sprawling, single-story building in Bushwick, the OddFactory will be located next door to the still-untitled, separately-branded soda fountain. With a liquor license already on-hand, the hybrid soda fountain, restaurant and bar will serve savory dishes, as well as OddFellows ice cream, booze and boozy ice cream. With more space and a different concept, the new outpost will give the former pastry chef at Wylie Dufresne’s wd~50 the chance to return to his roots. “The [Williamsburg] ice cream shop is almost too crazy, too high-volume and too small for Sam to be executing restaurant-style sundaes,” says Kumar. And Mason agrees. “I want to start composing dishes again, like very visual things in glassware.” The soda fountain’s menu will feature Mason’s signature wacky combinations. “I’m going to shove root beer into everything,” he says. 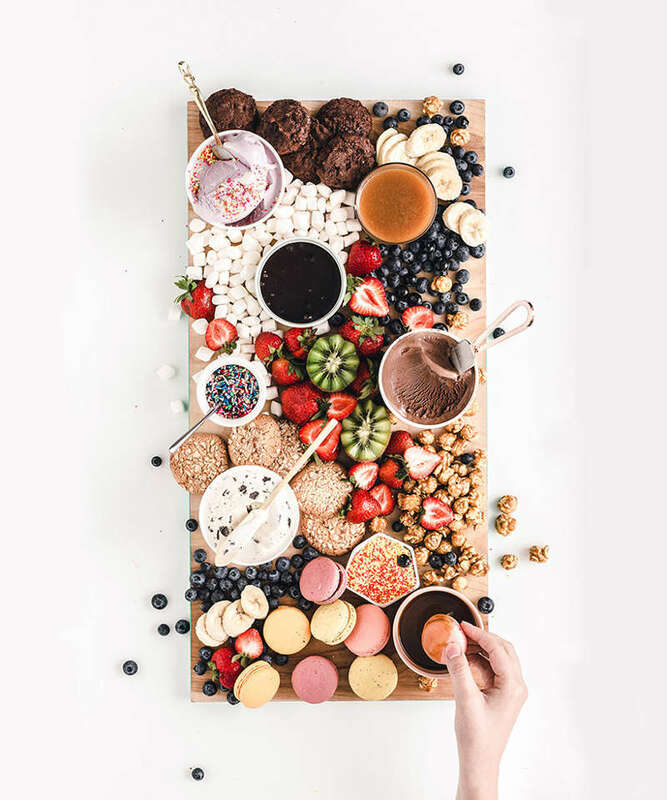 Guests can expect savory dishes like sliders and a pretzel corndog with Guinness mustard, and, of course, lots of sundaes, including one with coconut ice cream, warm grilled pineapple, toasted coconut and coconut dulce de leche. And while the team envisions the space to be adults-only at night, kids are welcome during the day. Kumar, whose two five-year-olds are living the dream with inside-access to some of the city’s best ice cream, says he often just wants a beer or a glass of rosé while they're enjoying their treat. “We’re trying to hit that point with the soda fountain,” he says. OddFellows has a parlor in Manhattan’s East Village that specializes in ice cream sandwiches and cool collaborations, like this summer’s Carnival-themed pop-up shop at Chefs Club Counter, but the magic is made in the small kitchen of the Williamsburg flagship. According to Kumar, the new factory will allow OddFellows to expand in several areas and grow a larger wholesale business. The space will have designated rooms for prep, pasteurization, freezing and, most importantly, testing new recipes. Visitors will be able to sign up for tours of the factory, and while there are no details yet, Mason and Kumar promise to make it fun. With their track record, we have no doubt.